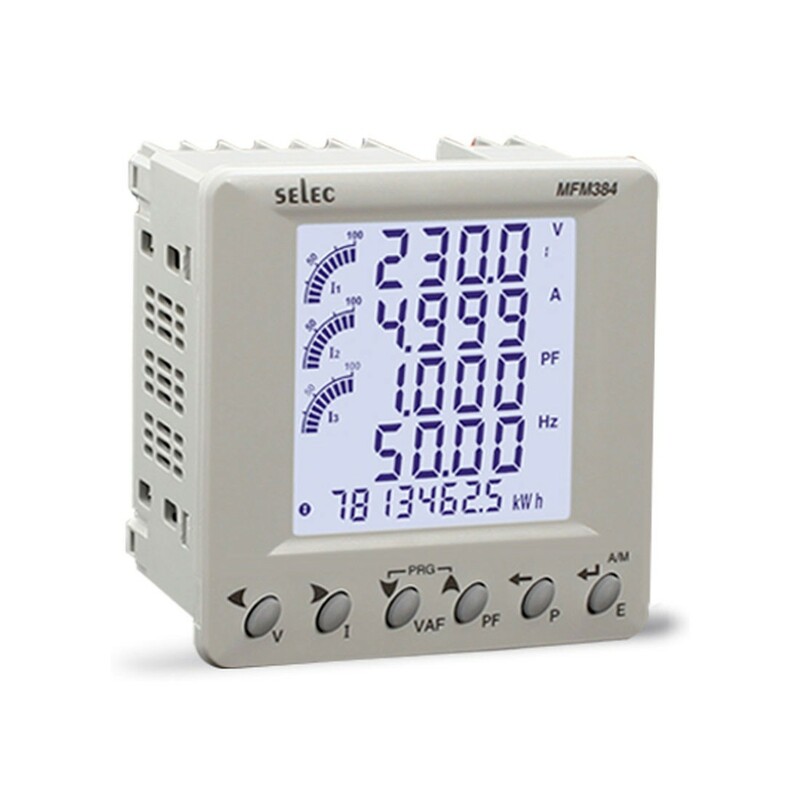 Allows you to setup and monitor active, reactive, and apparent power/energy. Detect phase sequence, neutral current measurement, and true RMS for voltage and current. Display: 4 Row LCD with Backlight. Input Voltage: 11 to 300VAC (L-N), 19 to 519VAC (L-L). Accuracy: Voltage: +-0.5% FS, Current: +-0.5% FS, Power Factor: +-0.01%, Power: 1%, Energy: Class 1. Communication: RS485 and Modbus RTU, (1 to 255) Half Duplex. Supply Voltage: 100 to 240VAC.